Amazon, Flipkart, Myntra etc. What do these names have in common? Yes, they are all websites where you can sell and purchase whatever you need from the comfort of your home and have it delivered to your doorstop. As internet usage increases, more and more sellers are moving their retail stores online. An online retail store is a specially designed website, which needs to be eye-catching, efficient and informative to your visitors. 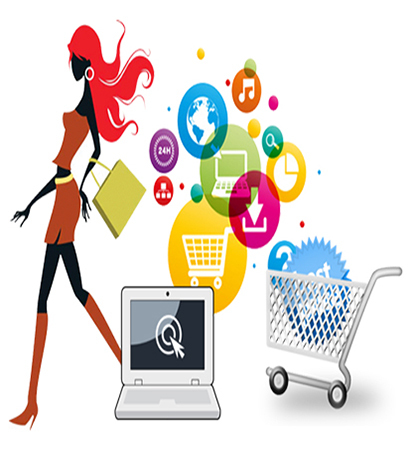 E-commerce refers to the buying and selling of products and services online. Such transactions require technologies ranging from security gateways to electronic transfer of funds to logistics management. Selling of physical goods such as books, groceries, clothes, electronic devices etc., which involves physically delivering the product to the customer's doorstep. Selling of digital goods such as music, ebooks etc., which are downloaded immediately or sent to a customer's inbox. Selling services, where financial instruments such as insurance, educational options such as tutorials or MOOCs, and others such as ticketing options etc. can be offered. The primary benefit of e-commerce, as with any online endeavour, is a global reach. Geography is not a barrier to sell with e-commerce. Second, e-commerce allows producers to directly reach the customers, which means elimination of middlemen, instant feedback, and possible personalization as per the requirements of the most valuable customers. 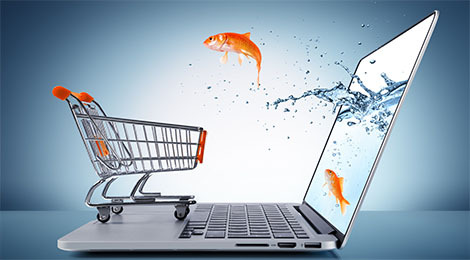 Third, e-commerce is beneficial to sellers as they do not have to invest in a physical retail space, and bear cost such as store design, electricity, maintenance and other associated costs. Fourth, for consumers, it is a good option as shopping can be done anywhere, and in the absence of overheads for the seller, products are available for much lower rates. E-commerce relies on a website as the core of your business. It is, therefore, that much more important to make sure it is effective. As this website is the crux of the business, it is imperative that it should be designed well, high on user experience, easy to navigate and read, and have top-notch security features. 1. First, we help in designing the perfect online store for your requirements. Our designers are experienced in building brands and websites, and will help you discover a cohesive theme along which your store will be built. We also ensure the use of the correct platform for your website. We work towards improving a great user experience for the site. We pay great attention to setting up a secure payment gateway. We will also maintain and suggest modifications to your site as requirements change. 2. Next, we help you in marketing your e-commerce website. We will work towards bringing more visitors to your site, through e-commerce marketing best practices. Our endeavor will be to support you along each step so that you can boost your revenues. If you are interested in building and/or marketing your e-commerce website, contact us.